It's all about 7s this week isn't it? I posted My 7 Links last week and now i'm posting Seven Words. My friend Al's blog is all about her life bringing up her amazing little girl, who has special needs. I spotted earlier that she posted seven words which summed up her life at the moment. Check them out here. It made me think. I have been through enormous change recently. I have lost my Dad, left a job I had for five years and moved to Australia. 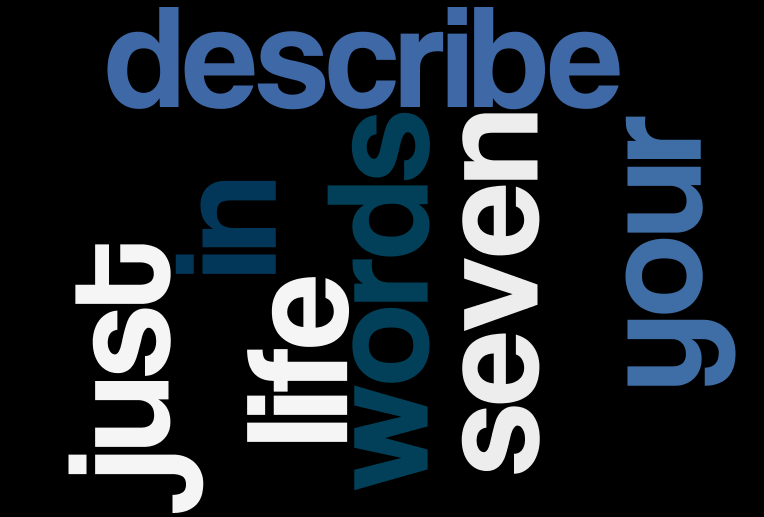 Which words sum up my life at the moment? "Living the life I always dreamed of"
My cynical side warns me how cliched that sounds. Well.. please don't take this the wrong way. I'm not showing off. I'm really really not. But my boyfriend and I had planned to come here for over a year and with everything that happened it turned out to be a very long year. I am here and I am happy. That's it. What are your seven words? Please share - I'd love to hear them. Click here to link to yours or tell me in the comments.